Between the ages of 12 and 36 months, toddlers are developing numerous skills. These abilities can be nurtured and developed with a variety of educational toys for toddlers, of which will be explained below. 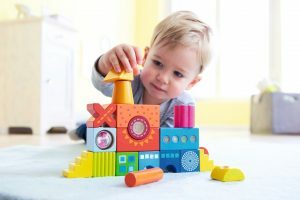 Learning at this age is typically play-based, so it is important to choose toys that are both fun and educational for toddlers. It is the perfect opportunity to start developing skills such as pre-writing, motor and social skills. Below, you will find examples of different educational toys for toddlers that can promote various areas of learning. Musical toys are a fun activity for toddlers. They provide a sensory experience, whilst simultaneously developing your child’s listening skills. In addition to this, using musical instruments will help to develop your child’s fine motor skills and hand-eye co-ordination, as they learn how to grip and play different instruments. 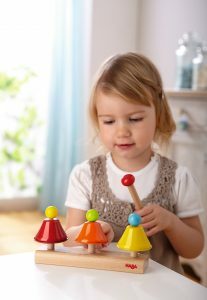 There are many musical educational toys for toddlers to choose from, such as Chimes and Music Wobblers. These can promote hearing and may also encourage your toddler to establish cause and effect between the different sounds that they hear. 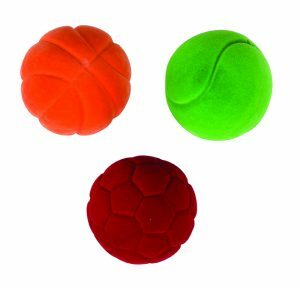 Soft balls are another fantastic example of educational toys for toddlers. From the age of 1, children begin to be able to throw a ball without losing their balance; by age 2, they attempt to catch the ball and by age 3, most children can throw and catch a ball whilst maintaining their balance. Balls can also encourage collaborative play, whether it is rolling a ball back and forth with your child or playing catch. Therefore, alongside encouraging the development of motor skills, playing with balls may also help to develop useful social skills. Reading a book with a child is a wonderful activity to help nurture their imagination and develop interactive skills. Toddlers will often enjoy listening to someone read and looking at a book. Reading may also help to increase vocabulary, as toddlers will repeat words that they hear in the book. Hence, books that include repetition are an excellent choice for toddlers, as well as those with bold, attention-grabbing pictures. By reading to toddlers, it will also demonstrate to them the main steps involved in reading; for example, they may help to turn the page, as they start to understand the concept of books. 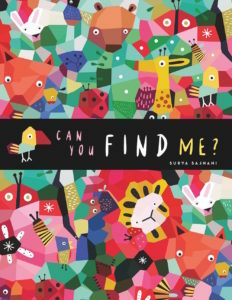 There are some fantastic books for toddlers to choose from, such as “Can You Find Me?” and “Baby’s First: Opposites”. As a toddler, children will enjoy sorting toys and can begin to group items by size, type and colour. There are fantastic resources to help support the ability to sort, such as these Fruity Fun Counters. Toddlers may also enjoy toys that help them to develop maths skills, such as counting. Why not combine learning to count with a puzzle? 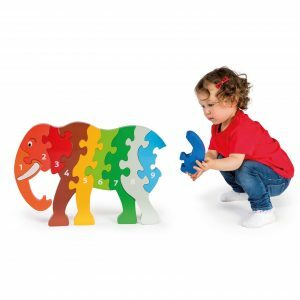 Educational toys for toddlers such as puzzles can help to improve a variety of skills; when manipulating the puzzle pieces to fit into place, their fine-motor skills evolve. Additionally children develop problem solving skills as they navigate where puzzle pieces should go. Messy play is a wonderful way to let children explore and play without restrictions. Whether it is sand, water, paint or chalk, there are many ways for children to enjoy messy play and get their hands dirty! Toddlers love to play with lots of different textures, so a sand pit is a super playground for your child. There are plenty of toys to choose from when it comes to sand pit toys, such as buckets and moulds. In addition to messy play, toddlers can also benefit from a range of sensory educational toys. 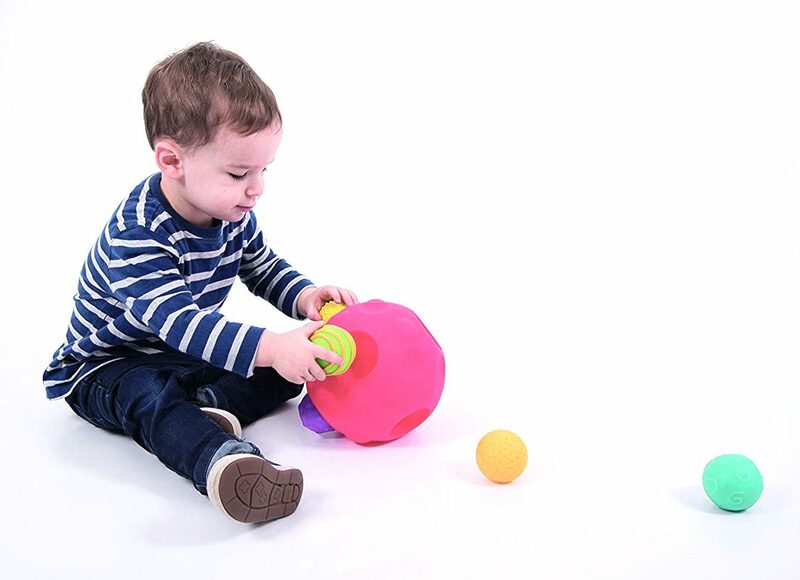 Building Sensory blocks can help to promote kinaesthetic learning through vision, hearing and touch, whilst Reflective Sensory Balls are a captivating resource to encourage self-awareness and observation of the world through a different perspective. Before children are able to write, they make marks until they eventually form words. Mark-making helps toddlers to develop pre-writing skills in addition to developing fine-motor skills, as children grip the pen and start to train the muscles in their hands. Mark-making can also boost creativity, as toddlers can express their feelings or try to tell a story. As they mature, these expressions of creativity then become more complex. Whether they are drawing on paper, sand or the floor, children can mark-make in a variety of ways. 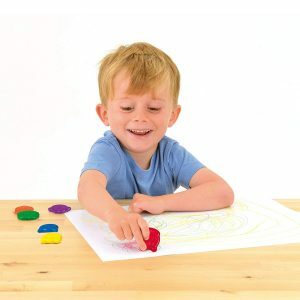 Easy to Grip Crayons and Solid Poster Paints are amazing educational toys for toddlers to allow them to make marks on paper, whilst these Hand and Feet Moulds would be great for playing outside in the sand. We hope these ideas are helpful when choosing the best educational toys for toddlers.